Two great friends with November birthdays meant I wanted to craft up something cute and functional for both these awesome ladies. I have been loving all the infinity scarf patterns popping up on blogs and pinterest, so I picked two and got to work. Same yarn, same idea...very different patterns! 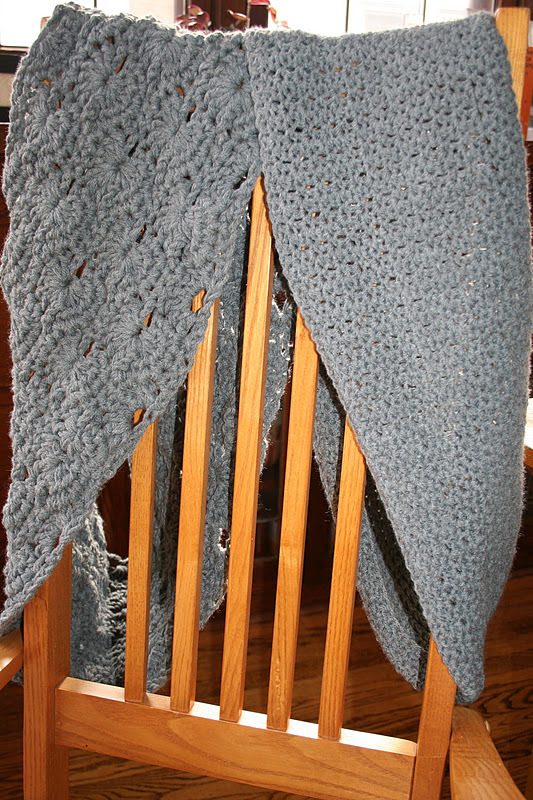 The first cowl (soft stitch cowl) was gifted for a birthday on 11-11-11. Cool right? It is warm, but feels light, and was super comfy doubled up, but I liked how it looked single too. 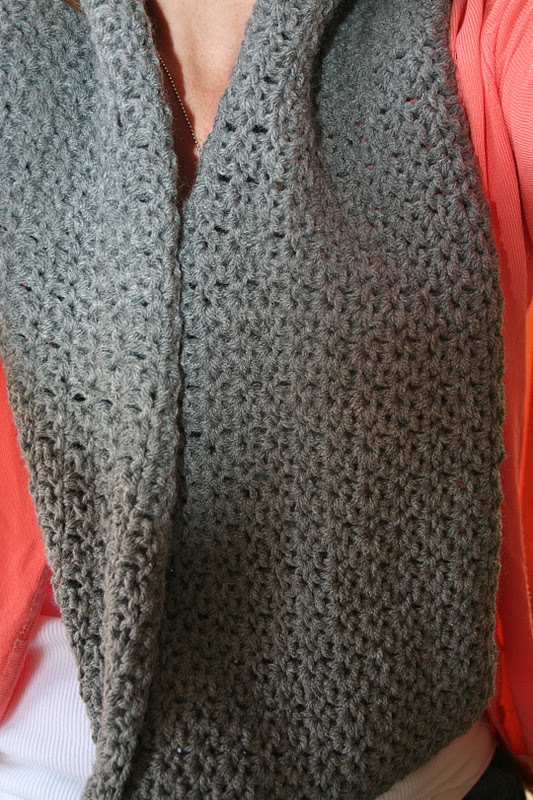 The second cowl (chunky circle scarf) will definitely keep you warm. It is made with two skeins of yarn, so it's bulky, but the pattern is so pretty that it could definitely be an indoor scarf as well. Of course I sent this one to a friend in a semi-warm climate. I might not have planned that out so well, but I really hope she's still able to wear it. I was super pleased with how both scarves came out and would make them again. 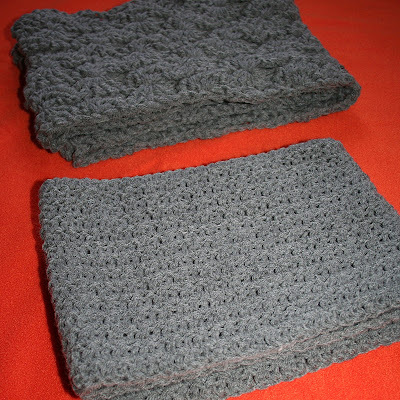 I think the soft stitch cowl may be a go-to gift item...right after I make one for myself! Love the first one especially. You do great work! Very nice, awesome gifts...and might I add...I have a November Birthday...great Birthday month. lol I get too many hot flashes to be able to wear the 2nd heavier one; at least indoors...but they both turned out great. They both look great, but my fav is the chunky one! Would be good today, it's a little chilly here in NC today! Very fun. I like the greys. they look very pretty! I'm sure they were appreciated! You know, I was leaning towards the more intricate pattern until I saw the modeled. I never would have guessed how lovely that simple pattern looks when wrapped and draped. Lucky friends! i heard your one friend, in the cold climate, thinks it's like the super awesomest and has been wearing it EVERYDAY. that's what i heard, anyway. Thanks for visiting and commenting on my blog! I had to set aside that tiny hook and work on something easier on my fingers for a while, too! Love them both! great job!! These cowls are both very nice. You've got some lucky friends!